Monday. The first full week of being back in Texas. Definitely back into the work routine. Very busy, and very far behind. 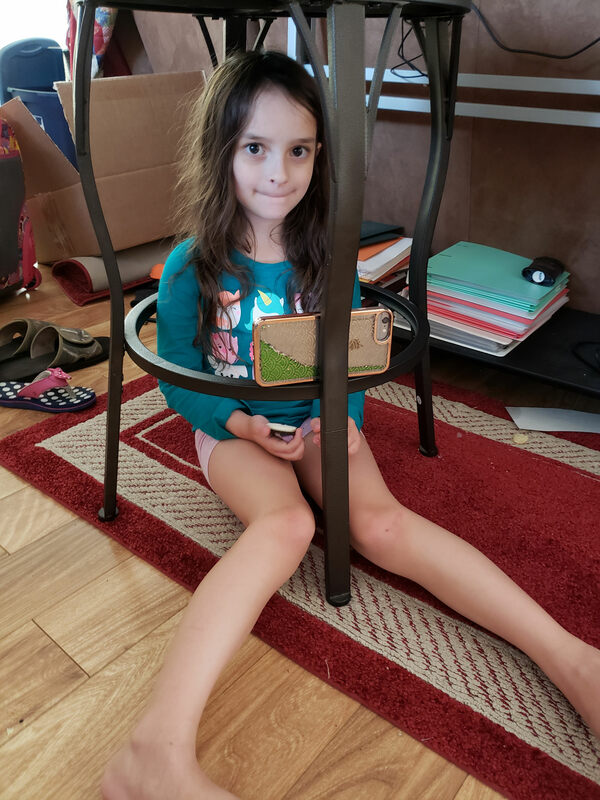 Luciana found that she could mount her iPhone on the bar stool in the living room, climb inside and use it like a mini movie theater.